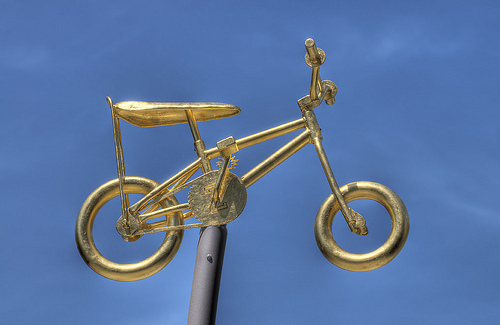 With bike weddings, bike parades, hundreds of naked bicyclists, bike fashion shows, popular & interesting cargo bikes, and travelling bike pubs, Portland is #3 on this great bicycle city photo tours list. Portland has great bicycle facilities (colored bike lanes, bike boxes at intersections, great bike signs, off-road bicycle paths, etc. ), a large number of people using the bicycle for transportation, and a bike culture that brings the fun of bicycling to another level. 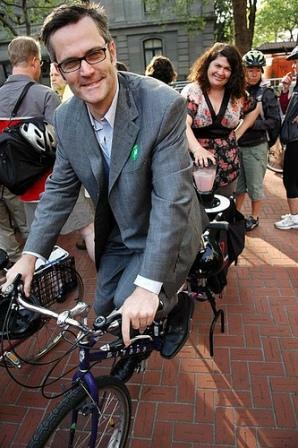 As a result of these factors and more, Portland was the first large city in the US to achieve the Platinum level Bike Friendly award from the League of American Bicyclists (LAB) — the Platinum level being the highest level possible (above Gold, Silver and Bronze). It is truly a world-class bicycle city now, and the amazing photos in this photo tour help to show that. 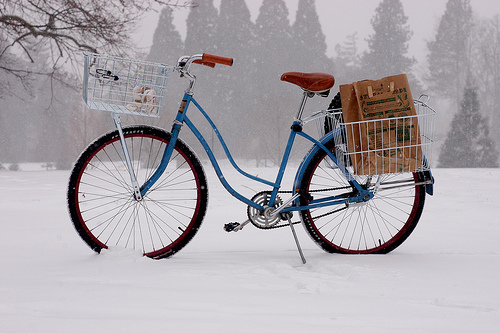 Bicycle provisions and promotion is integrated into almost every action taken by Portland – beginning in the Mayor’s Office, down to actions taken by maintenance crews on the streets. 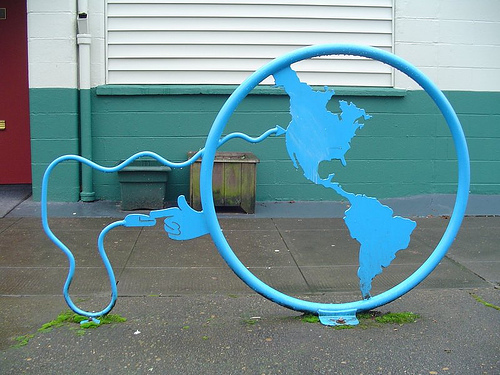 Portland has a seamless and varied bicycle network that connects all parts of the city and has proven success. 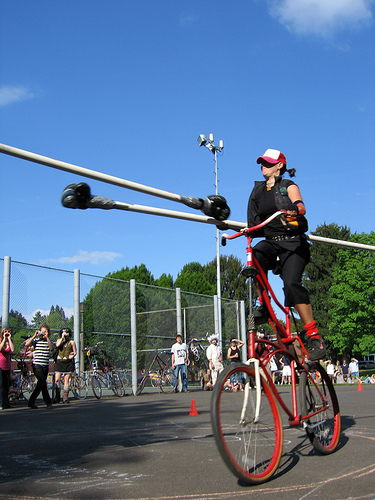 Portland dramatically increased its bicycle use and has a strong bicycle culture where all types of cyclists can find limitless opportunities to enjoy riding a bicycle. 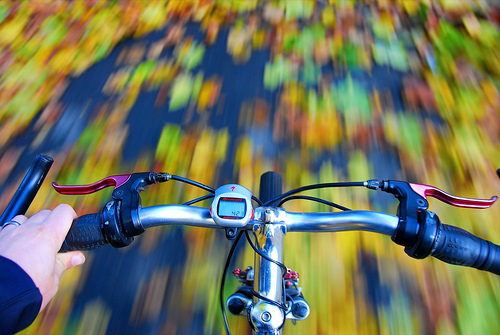 Annually there are an estimated 2,100 rides, races or other events held to encourage cyclists – an average of six per day – and they draw more than 40,000 participants. Portland’s increased ridership comes with an increased focus on safety though a Share the Road ticket diversion program, newly installed side underrun guards on all city trucks and an ‘Eye to Eye’ campaign. 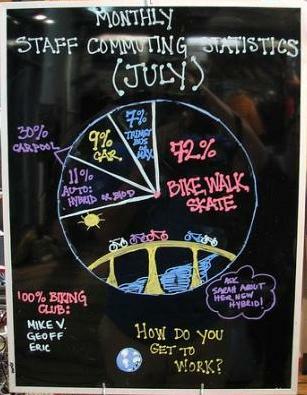 The Bicycle Transportation Alliance offers one of the nation’s leading Safe Routes to School programs. 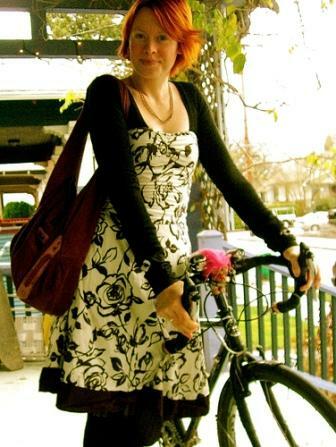 The Community Cycling Center also offers an exciting Create a Commuter program that donates low income adults with a fully outfitted commuter bike, requisite commuting gear and bike safety training. 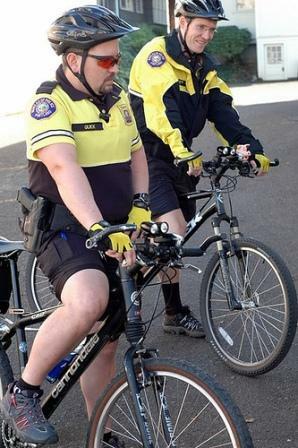 In Portland 60 percent of downtown police officers are on bike. Portland recently constructed a bicycle facility along a segment of roadway through a transit center that provides a direct connection between two popular bikeways in Central City and improved the safety of intersections across town by implementing bicycle boxes. 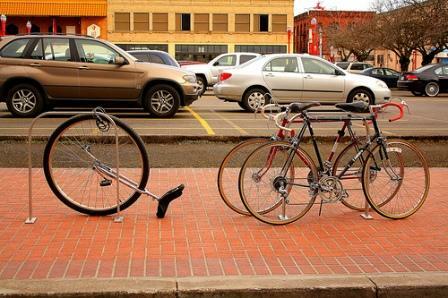 With support of local merchants and to meet a surging demand, Portland has provided six on-street bicycle parking sites — offering parking for 12 bikes for every car parking spot removed. Not content to stop there, Portland has also engaged in a high-level update of its bicycle master plan, expanding the city’s infrastructure and programs like improving off-road riding access. Portland is looking to rework their policies, designs and bikeway networks to set the stage for transforming itself into a true world-class bicycling city. Portland has a lot going on! 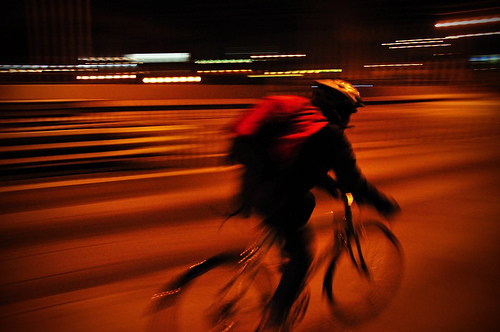 The best aspect of the city, in my opinion, is its great bicycle culture. Get a glimpse of this in the photos to come.